Christchurch Borough Council: Pure Town Planning has won another appeal against Christchurch Borough Council. This time it was a “fast track” householder appeal against the refusal of planning permission by the Council for extensions and a complete facelift to the original house in Highcliffe. 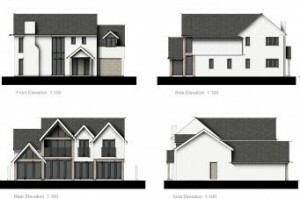 The proposed alterations to the existing house were designed by Tony Holt Design and will leave it unrecognisable and significantly larger with large side and rear extensions. Nonetheless, Pure Town Planning were able to persuade the Inspector that the proposal would not harm the character of the area as the Council claimed, and would not materially affect the sunlight and daylight reaching the adjacent houses. The homeowners are delighted that they now have the planning consent for the bright, modern and spacious family house they dreamed of. The fast-track appeal system was introduced a couple of years ago to speed straightforward appeals through the system – in this case it was certainly effective with the decision coming in well before the 8-week target date. 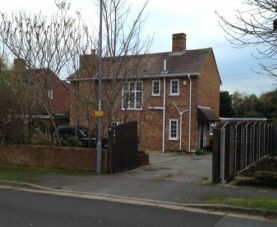 These kind of planning appeals are very quick and, because the input required is limited, our fees are very affordable. If you have had plans for your house alteration or extension refused by the Council it is definitely worth considering. But bear in mind you only have 12 weeks from the refusal to lodge the appeal – so don’t hesitate call Pure Town Planning now!